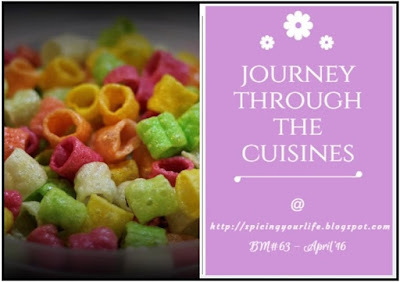 It has been been an amazing culinary exploration experience in the month of April. I hope all of you followed me through the journey. Thanks to Srivalli who has created and motivated us to step out of our comfort zone and explore more. Special thanks to my friend, Shalaka, who has helped me every step of the way. To keep this collection of Maharashtrian food all in one place, I am doing a recap of this series. Learnt some of the authentic recipes and I have bookmarked a few. Amazing journey and yayyy we all did it. Now I know where to look if I need to cook home style MaharashtrIan dishes. That'a a wonderful collection and loved running marathon with uou. Harini, thank you for creating such a wonderful Maharashtrian list. It was so much fun and learning. Thoroughly enjoyed all your Maharashtrian dishes in this marathon Harini. Learnt a lot of new dishes -- kudos to your efforts for trying a cuisine that is new and I think you nailed it. So many delicious Maharashtrian recipes in one place.Bookmarking this. Thanks to your friend, we got to see some of the amazing recipes from Maharashtrian cuisine. That is a wonderful round up. Totally enjoyed the Maharastrian recipes that you showcased in this marathon.It is difficult to cook recipes from non native cuisine and you did a fab job . I loved all the Maharashtrian dishes you brought us all month long :) Lovely recap!